An Africa Confidential report has revealed that President Edgar Lungu personally signed a sovereign guarantee for a South African company called Stag Africa to raise US$500 million on behalf of Zesco, when the utility company only requested for US$350 million. According to the report published Thursday, the guarantee should have been signed by the Minister of Finance, but the Head of State went ahead to sign it personally. “As its portfolio of commercial loans balloons, Zambia’s government is also increasingly relying on sovereign guarantees to quickly secure large or risky loans for its bankrupt parastatals, stoking up public debt out of public view,” the report read in part. It stated that STAG agreed to finance Zesco on conditions that when the US$500 million was sourced, only US$350 million would be transferred to the utility. “Banks were then asked to endorse the guarantee so that STAG – which is not a financial institution – could use it to raise funds for the loan. Zesco had been looking to borrow US$350 million to pay off its arrears and STAG agreed to arrange the sum on the condition that the guarantee was for $500 million, with the remaining $150 million borrowed but not transferred to Zesco. It is not clear whether any bank has complied, and Africa Confidential understands no money has yet been raised. It is unheard of for presidents to sign guarantees personally, and his signature may not even be legally valid. 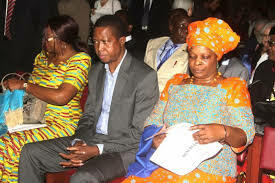 The deal illustrates the depths to which Lungu’s government will go to raise money. But we also hear that the hunt for credit and cash is also motivated by opportunities for huge commissions,” reports Africa Confidential.